A 12-year-old cyclist was critically injured in a crash with a car. 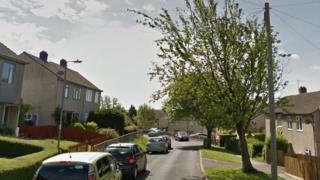 Police were called to Hill Rise, in Chippenham, at about 09:40 GMT on Tuesday after the boy's bicycle collided with a car. The boy has been taken to Bristol Children's Hospital while the driver of the vehicle is helping police with their inquiries. Wiltshire Police said the road would remain closed while officers investigated.